Oasis is a welcoming and enabling community, open to all, contributing to personal and communal spiritual enrichment while promoting mutual respect and understanding of diverse religious paths and cultural traditions. 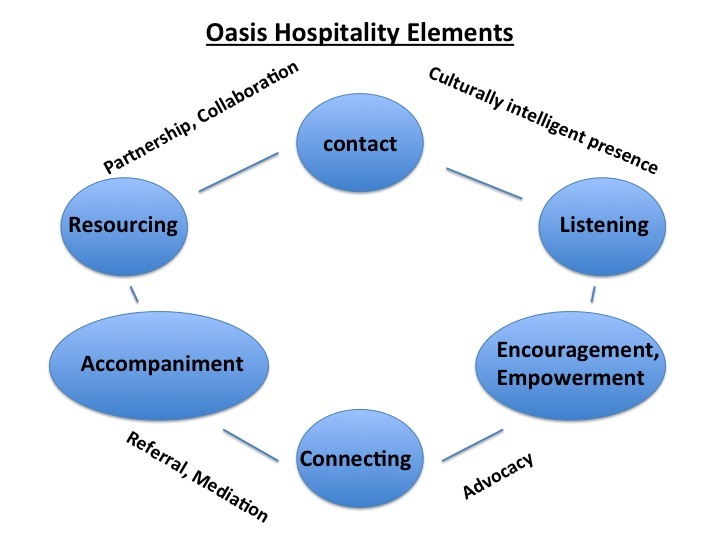 Oasis – community and spirituality through hospitality. want to develop new skills and understandings that enhance the quality of their service. * We are replacing ‘meetings’ with meals, fostering the Oasis Hospitality Elements. This entry was posted in Uncategorized on August 1, 2013 by Geoff Boyce.